So these are actually 2 separate trips, but in an effort to post more (must spend less time studying and more time posting?…. no, that doesn’t seem quite right), I am rolling this into one fun post! 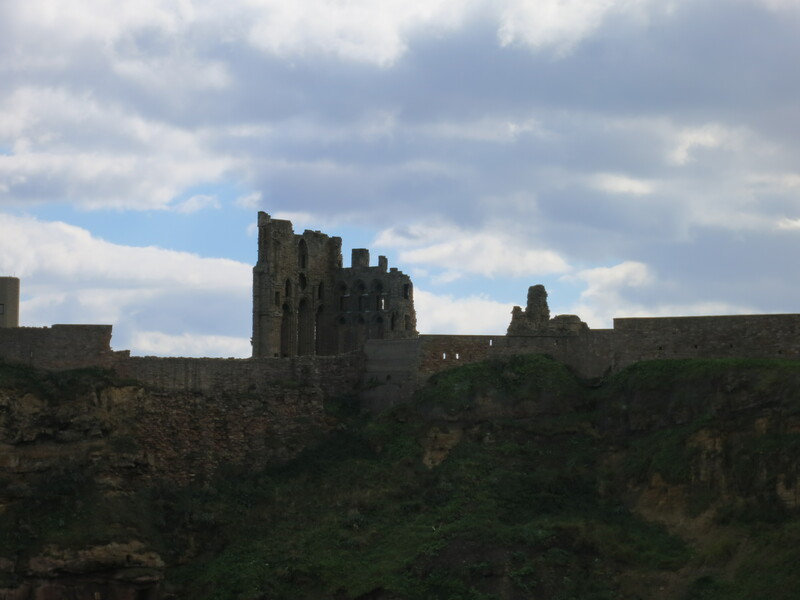 We’ll look at one past day trip, Tynemouth, and one more recent, Durham. Both are within a 30 minute train ride from where I live! First, lets blast back into time to mid -September and we will find ourselves in Tynemouth and Whitley Bay. 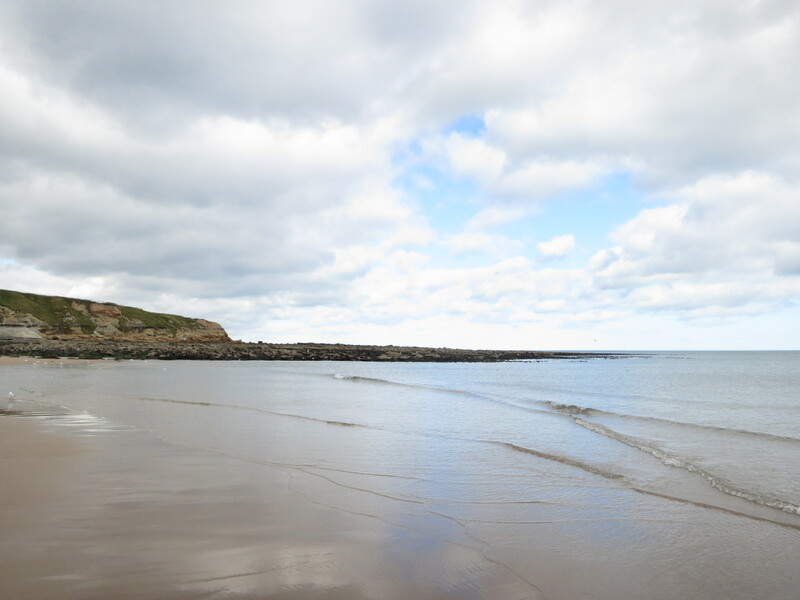 Tynemouth is the small seaside town located 20 minutes by metro train (subway) from Newcastle city centre. After seeing a day on weather.com with a high of 65 F and sunny, I decided to run with this chance and head to the beach with a German friend from my building, Tobi! Needless to say, it was a great decision. 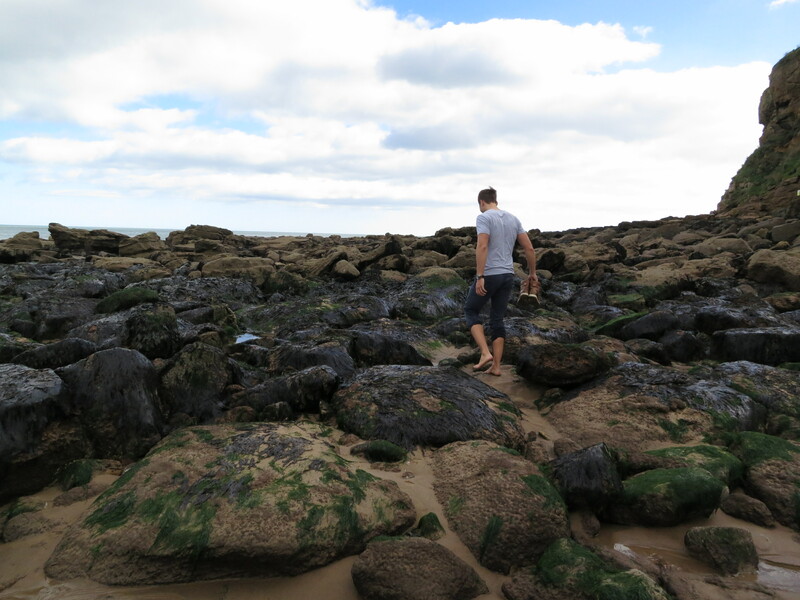 Getting the chance to run around on the beach, eat fish and chips, and explore two cozy seaside towns on a gorgeous day was wonderful. Definitely a great treat to celebrate a great first week of classes! 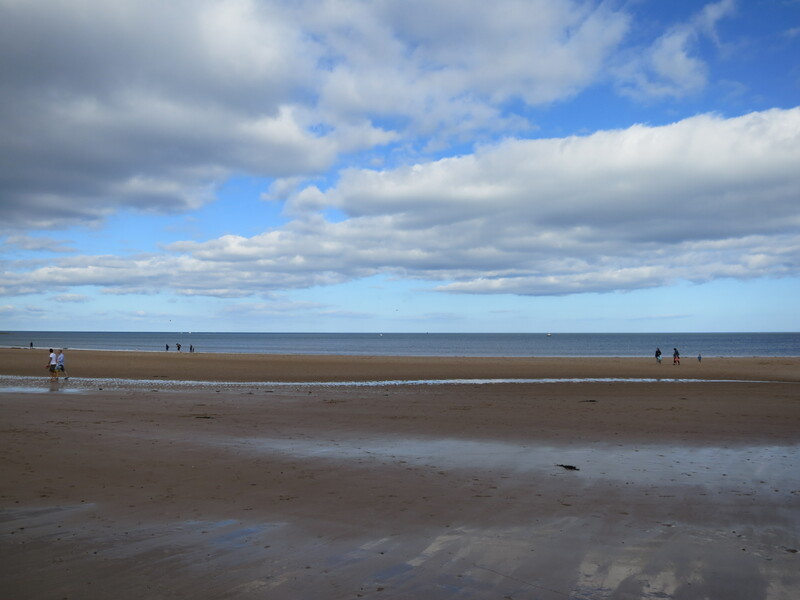 We were able to walk several miles down the coastal road and beaches until we hit Whitley Bay. Whitley Bay is known for having great waves and offers surf lessons during the summer (dry suit included!). All in all in was a gorgeous day and very relaxing- just what was needed after diving head first into graduate schooling. 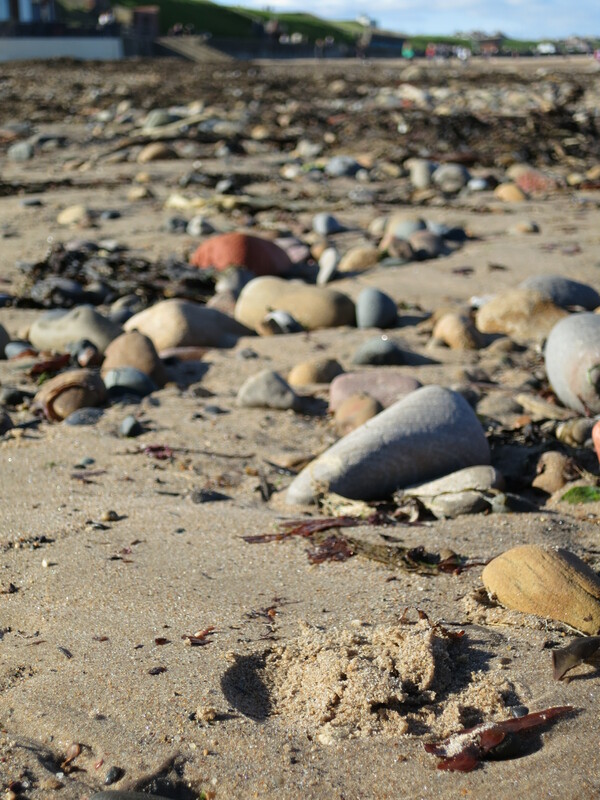 Whitley Bay Beach Rocks- I can’t help being obsessed with gorgeous colorful rocks! 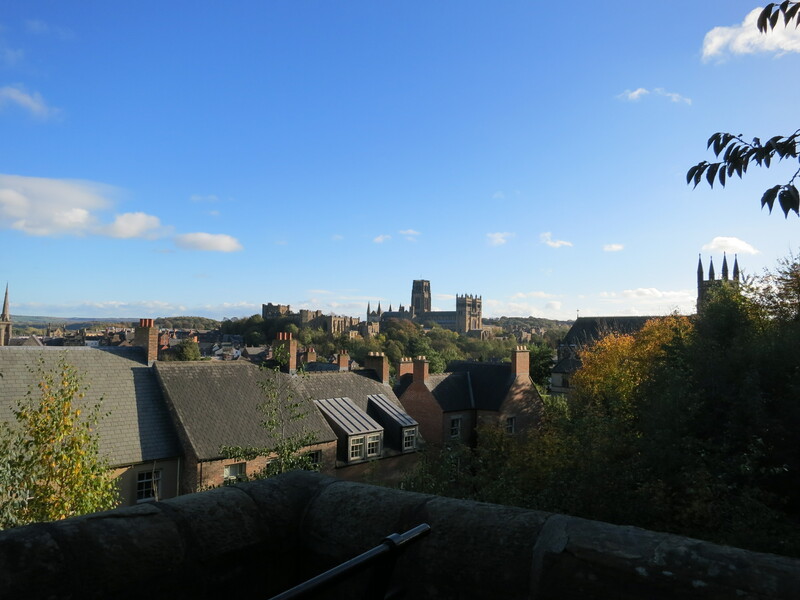 Recently, I took a trip with my classmate Brook to Durham for the afternoon. After a quick 15 minute train ride south, we arrived in the small town of Durham. 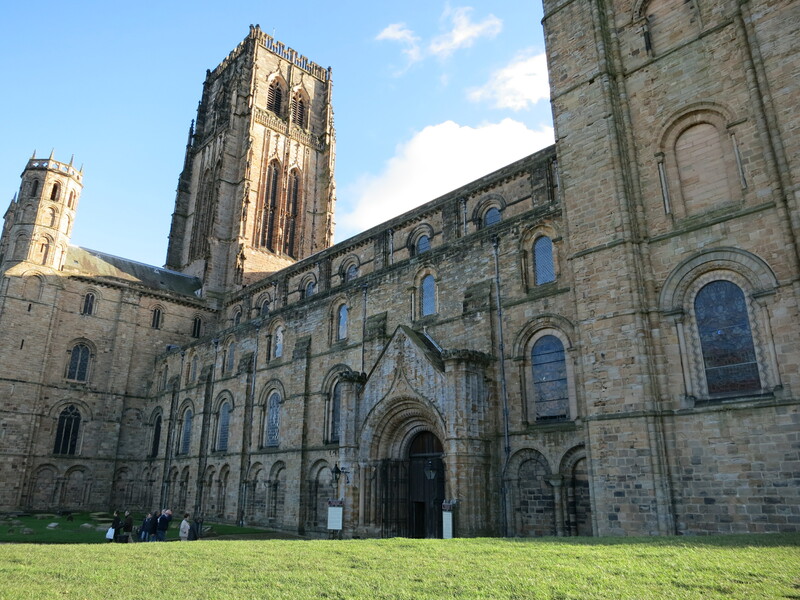 Built onto a peninsula jutting into the river Wear, the town is well known for its medieval cathedral and university. After walking down into town, across the river, and up through town, we arrived upon the cathedral and the university. Being the art history lovers that we are, we opted to go on a guided tour of the cathedral. It was totally worth it! Our guide was incredibly knowledgeable and I secretly want him to be my English grandfather- he was that adorable. Certainly worth the £5, especially since the cathedral does not change an entry fee. 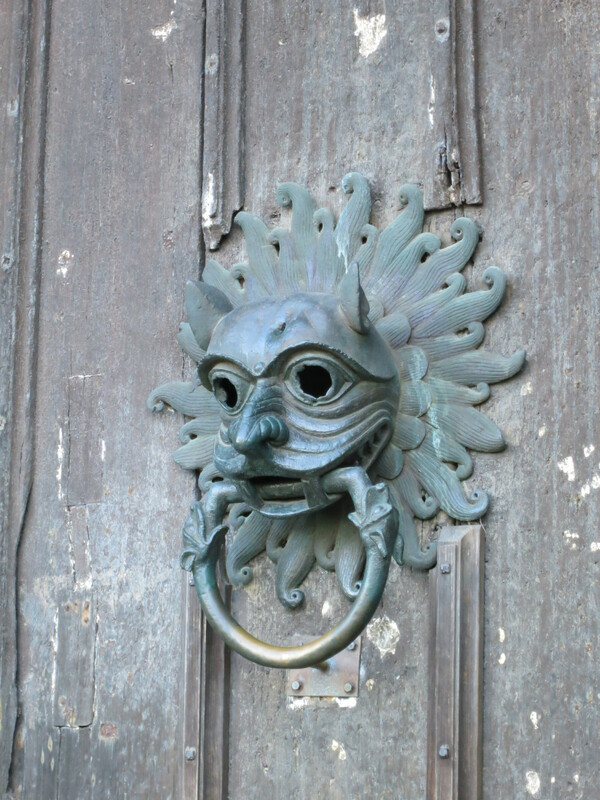 They simply ask that you donate generously so they can continue to run the cathedral and it’s services in the shape it deserves to be in after 918 years of use! It’s amazing to think 40 summers of building resulted in this beautiful Romanesque style building that still houses services every day and acts as a community gathering place. 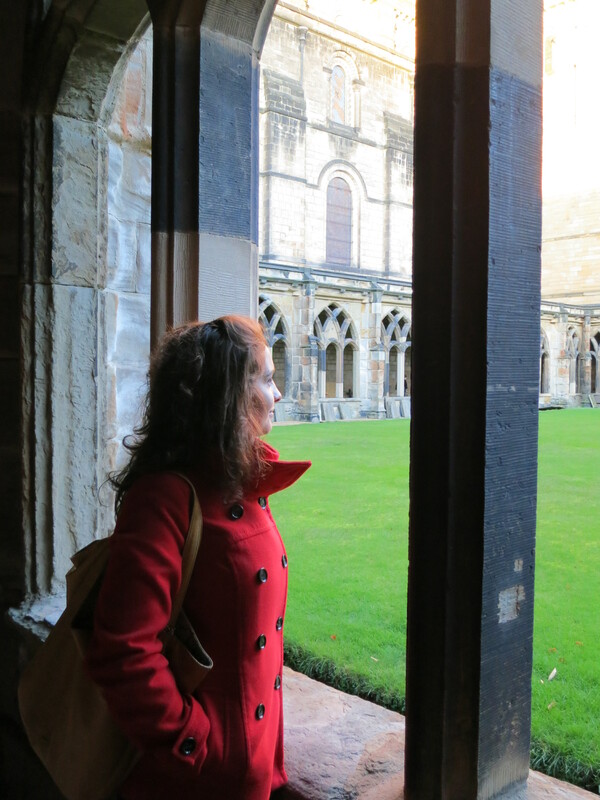 The central cloisters acted as a location in the first Harry Potter movie. 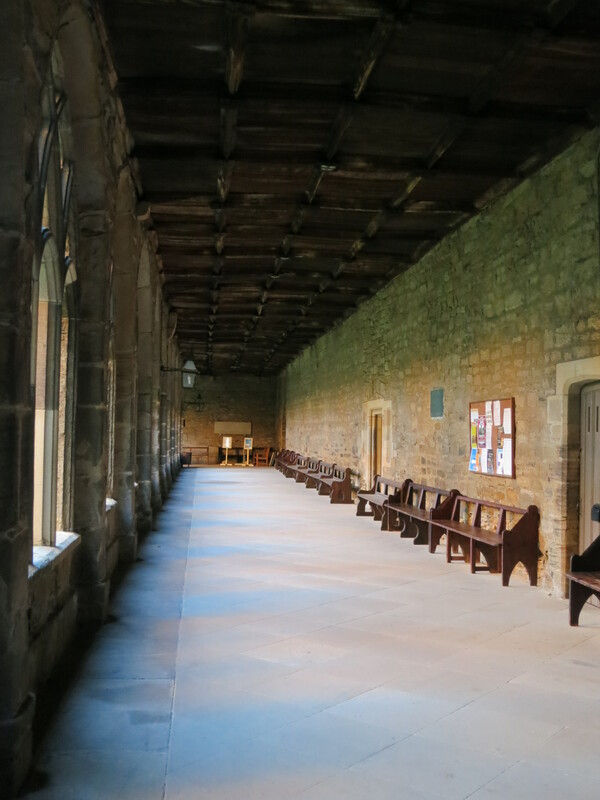 Anyone else remember Professor Snape running into Harry and Ron walking along these corridors? 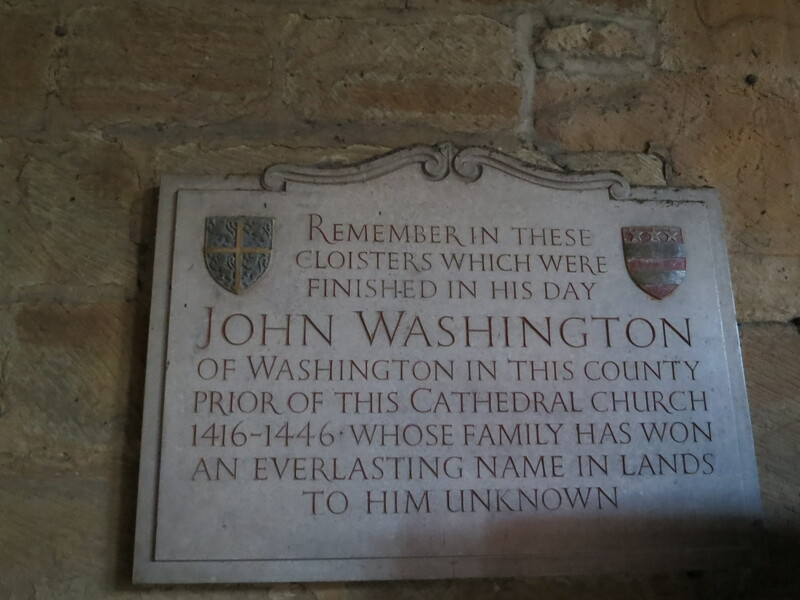 Our guide also pointed out that George Washington’s family was from the Durham area and their coat of arms is featured in the cloister of the cathedral. Supposedly, according to the guide, the stars and stripes motif in the American flag came from the Washington Family crest. Not the story I had learned in school, but an interesting idea nonetheless. All in all, both trips were lovely and provided necessary relaxation! Up next will be a post about classes as we are going field trip crazy in the next two weeks!